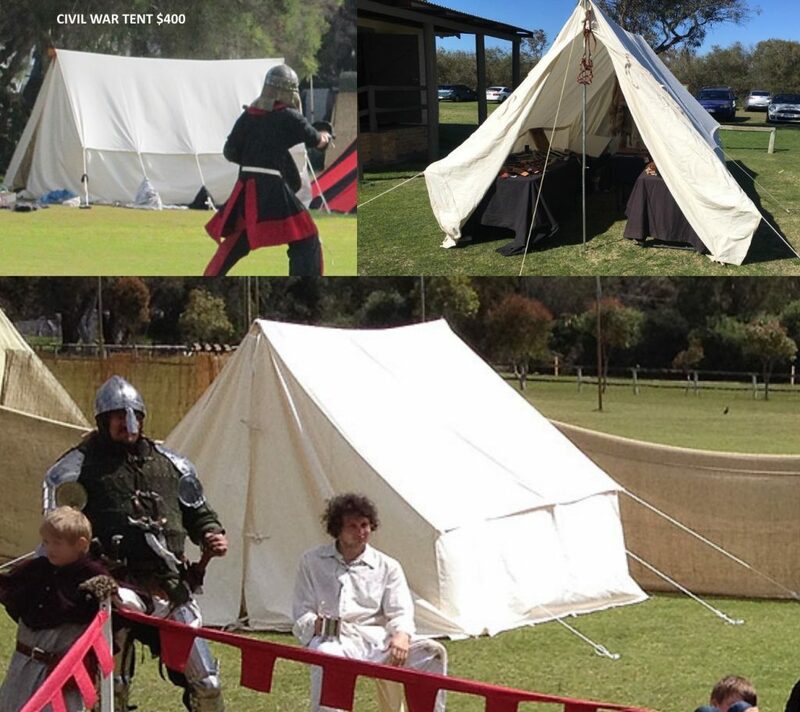 Saxon Trading Tent (6m wide footprint) $600.00 Comes with tent poles and pegs. 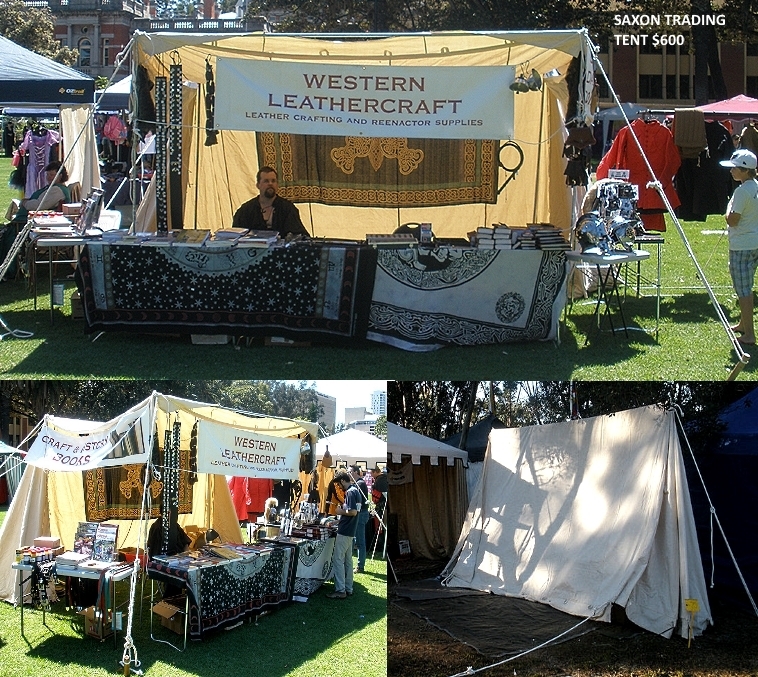 Dark Ages to Medieval style tent that opens out on one side to form a shelter to trade from. American Civil War Tent (4m long tent) $400.00 Comes with tent poles and pegs. Would suit any kind of Wild West or Victorian scene, but also fits in well with Medieval camping. 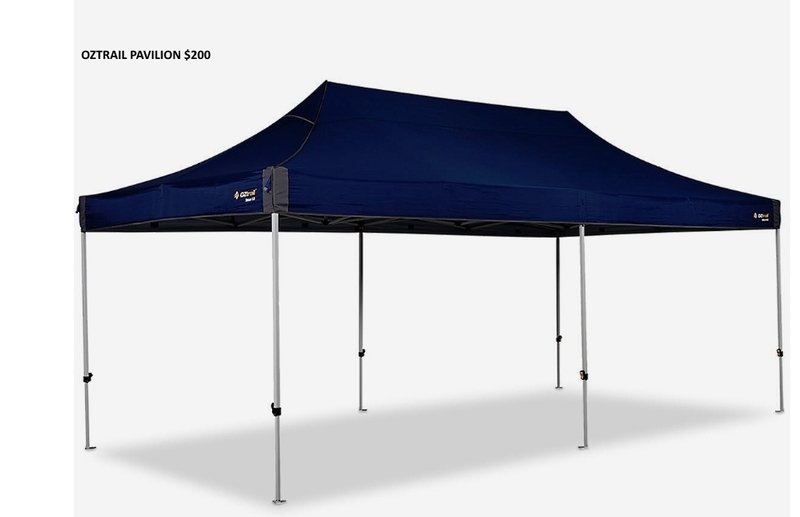 Oztrail 6m x 3m Pavilions x 2 $200.00 each. Please contact us at this email or ring us on 0892279127 if you’d like to buy them. The Civil War tent has now sold, folks.